Raspberry Pi project has been published this week by developer and enthusiast Adrian Rosebrock providing full instructions and all the code required to build your very own Raspberry Pi security camera using OpenCV and computer vision. The fully featured Pi security camera will send text messages, images and video clips if the camera is triggered. Adrian explains more about the inspiration behind the Raspberry Pi security camera. “Back in my undergrad years, I had an obsession with hummus. Hummus and pita/vegetables were my lunch of choice. I loved it. I lived on it. And I was very protective of my hummus — college kids are notorious for raiding each other’s fridges and stealing each other’s food. No one was to touch my hummus.” Check out the video below to view footage captured using the Internet of Things camera. 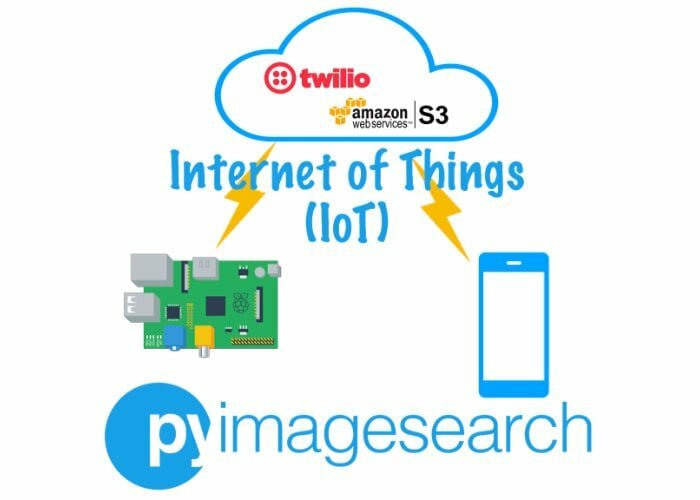 For full instructions and code jump over to the official Py Image Search website by following the link below.If you enjoy building Pi projects you might be interested in our comprehensive list of Raspberry Pi displays, HATS and small screens.